Moving from London to Antwerp does not have to be stressful. If you use a professional removals company, your move to Antwerp can be easy and stress-free. We fully understand that moving can be a lot of hard work. After all, there is always so much to think about and consider. Therefore, to make life easier for our clients, we provide them with a personalised moving schedule specifically designed to meet their every need and requirement. We also provide our clients with a moving checklist. This is to get you organised. Once a task has been carried out, you can check it off your list. There are endless benefits to using our services. Firstly, you will save a great amount of time. Secondly, you will save energy. Thirdly, you will save yourself from becoming stressed out. Moving can be stressful, everyone knows that. So we do our best to make it as stress-free as possible. We want your move to be enjoyable. After all, you are moving to Antwerp – it should be exciting. To find out more about our services, please get in touch with us on 020 8746 4402. We will be more than happy to help and answer any of your questions. We feel it is our responsibility to provide you with great services. We won’t disappoint you. Call us today on 020 8746 4402. Antwerp is a city located in Belgium, with a population of 512,000. There is so much to see and do in this vibrant city, full of culture and life. These include Rubenshuis, Antwerp Zoo, Planten Moretus Museum, Saint Paul’s church, cathedral of our lady, central station, city hall, het steen, bourla theatre, diamond district, and many more. There are a lot of festivals that take place here as well, so taking part in these events would indeed be great fun for tourists. This city is known for its diamond industry and you can in fact purchase diamonds from the city’s jewelry shops. There are a range of jewelry shops in the city for you to admire and check out. 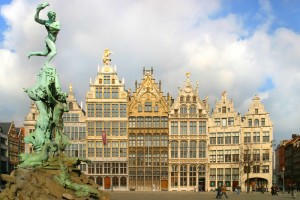 Antwerp is indeed an exciting place to visit and you are guaranteed to have a great time here. 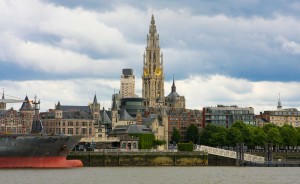 Moving Service is here to help you with your move from London to Antwerp. We have the skill, experience and resources to make your move from London to Antwerp easy and straight-forward. There are so many benefits to using our services. You will save time, energy, money and stress. Time is something many of us have little of. With work and other daily commitments, there is very little time for anything else. When you hire us you can add those extra hours back into your schedule. Thanks to our superb team of movers, you can use that time on something more interesting. You will also save energy because energy is also something we have very little of when we have other commitments to attend to. And you will also save money because, unlike when you do it yourself, when you allow us to carry out your move you do not run the high risk of your move turning into a disaster. We promise you a smooth and easy move. To find out more about our services, or about the benefits to hiring us, call our office today on 020 8746 4402. We will be more than happy to help. Let’s get started with your move from London to Antwerp.